As for what exactly he does, Love-Robinson says that he is fully qualified to treat patients in naturopathy and alternative medicine, but declines to get into specifics about his training. “For one I have taken quite a bit of final exams and alternative medicine courses,” he tells ABC, then refusing to explain further. Love-Robinson was also investigated in January for allegedly stealing checks from an elderly patient and forging them for cash. Asked about it during the press conference, he replied with a brief “There are two sides to every story” and did not elaborate. 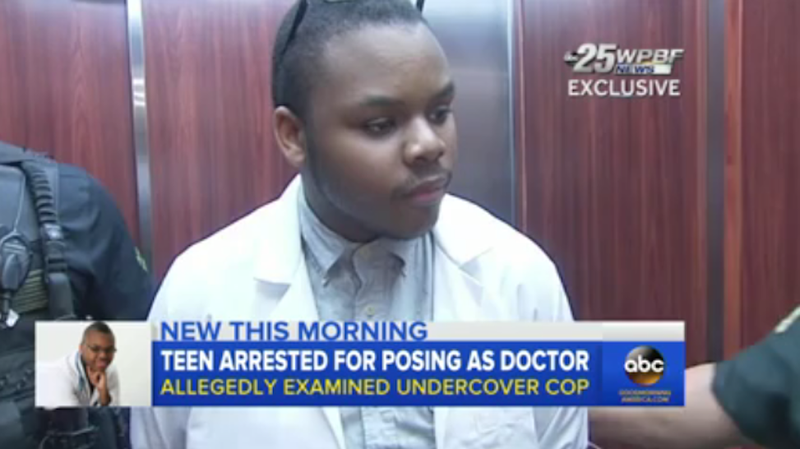 Asked about Love-Robinson in a previous interview, Dr. Sebastian Kent—an OB/GYN at the West Palm Beach hospital where Love-Robinson was caught pretending to be a doctor in 2015—seems to think that current circumstances go beyond mistakes and slip-ups. Love-Robinson—who claims to have a lawyer, but refuses to give news outlets the lawyer’s name—has yet to enter a plea.